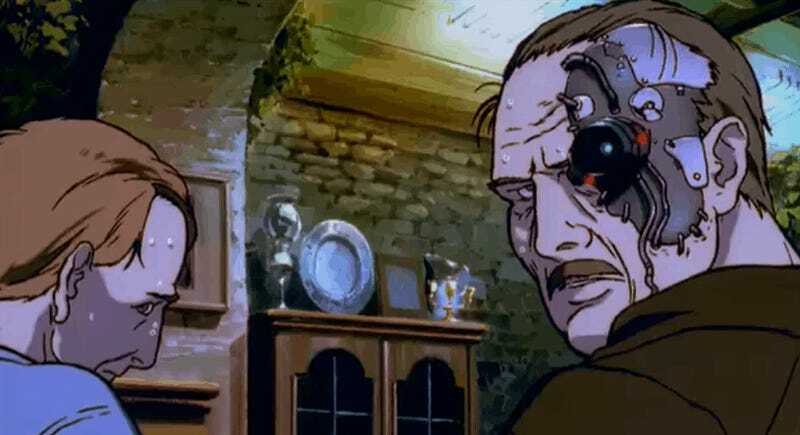 In 1997, to cash in on the cult reception Ghost in the Shell’s release had met with in the British Isles, Murphy’s hired an ad agency to go and make an anime-themed commercial. That firm, Nexus Productions, was able to assemble a team of all-stars from Production I.G. to make one of the greatest ads of all time. The commercial was called Last Orders, and tells the story of a cyberpunk metropolis, where a gang of six samurai race against the clock in order to...reach a pub before it closes so they can grab a pint of Murphy’s Irish Stout. Last Orders’ director was Blood: The Last Vampire’s Hiroyuki Kitakubo. On character design duties was Ghost in the Shell’s Kazuchika Kise, while background art was handled by Jin-Roh’s Hiromasa Ogura. All brought together for an Irish beer commercial. Thanks @timsoret for the memory jog!